Have you ever visited an ancient cemetery at night? It sounds spooky but don’t be afraid, it’s going to be a truly unique experience! This Saturday, July 28th, the ancient town of Akanthos is opening its door -for the first time- to the night visitors! 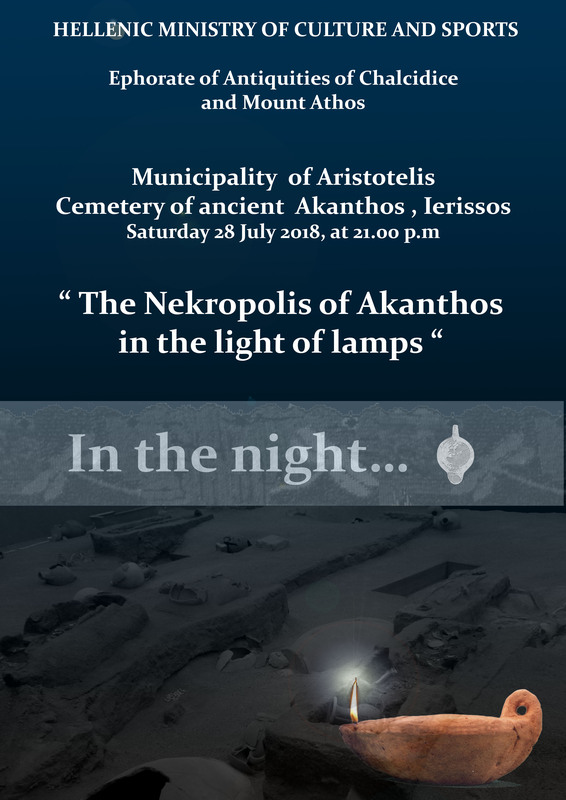 From 21.00 until 22.30, the ancient Nekropolis (cemetery) of Akanthos will be lighten up by earthenware lamps while archeologists will welcome the night guests in a discussion about oblivion and darkness, light and memory through stories of life and death! This is a mystical experience that is not to be missed!